A supreme tyre for dynamic drivers, the Proxes T1 Sport complements the handling of the most prestigious sports saloons and coupes. This tyre responds to the demand for ultimate handling and can deliver superior performance even at fast motorway speeds. 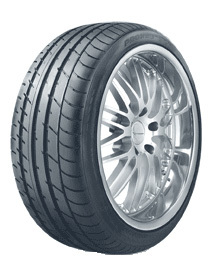 Due to an increased contact area and wide ribs across the outside of the tyre, the Proxes T1 Sport offers better cornering performance and high levels of grip.